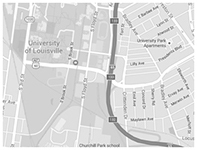 As a student at UofL, you have free access to resources and appointments through the Career Development Center. During your time at the university, we recommend you take advantage of the Cardinal Career Compass. This unique resource is designed to be used as a checklist to prepare your for your career after graduation. While this list encompasses four steps designed around four years at UofL, you can use it at any stage of your education and ensure all four steps are complete by graduation. Download and print your own copy of the Cardinal Career Compass and start your journey today! Steps to point you in the right direction on your journey from college to career. ☐ Create/update your resume or CV. ☐ Create/update your LinkedIn and Cards Career Connection powered by Handshake profiles. ☐ Meet with your Career Coach regularly. ☐ Attend Career Development Center workshops, career fairs, and events. ☐ Take a career assessment. ☐ Complete your Cards Career Connection powered by Handshake profile. ☐ Have a headshot taken. ☐ Still unsure of your major? Enroll in ECPY 302: Personal and Academic Inquiry. ☐ Learn how to write a cover letter. ☐ Conduct an informational interview. ☐ Stay engaged on- and off-campus. ☐ Create your online portfolio or website. ☐ Thinking about graduate school? Start the process now. ☐ Begin studying for your entrance exam. ☐ Complete a practice interview. ☐ Complete an internship, co-op, or practicum. ☐ Continue expanding your network. ☐ Read for your future—and fun. ☐ Start building your professional wardrobe. ☐ Take entrance exams required for graduate or professional programs. ☐ Prepare all other application materials. ☐ Ask for letters of recommendation. ☐ Learn about the job market. ☐ Begin your job search early!